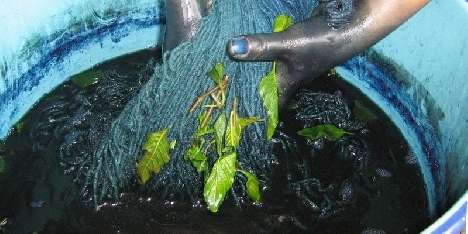 Natural materials have been used to produce dyes and colorants throughout much of human history. in Oaxaca, the way of learning has been passed down from generation. Join master dyer and weaver Porfirio Gutiérrez to learn about the rich history of the craft in its cultural context, to make a range of richly colored dyes using natural colorants derived from the indigo, cochineal, and wild marigold and to apply the dyes to yarn and cloth. Porfirio Gutiérrez is descended from a long line of weavers from Teotitlan del Valle, Oaxaca. In this small village, known for its hand-woven rugs, he and his family are among a small group of textile artisans working to preserve the use of plant and insect dyes, techniques that stretch back more than 1,000 years in the indigenous Zapotec tradition. This workshop is limited to participants 15 years and older. Please wear comfortable clothing that you do not mind getting dirty. The majority of the workshop will be held outside so please dress accordingly depending upon the weather.